Weather: 60s-80s in each city, definitely pack layers! Paris was in the 80s, Kirkwall was in the low 60s. 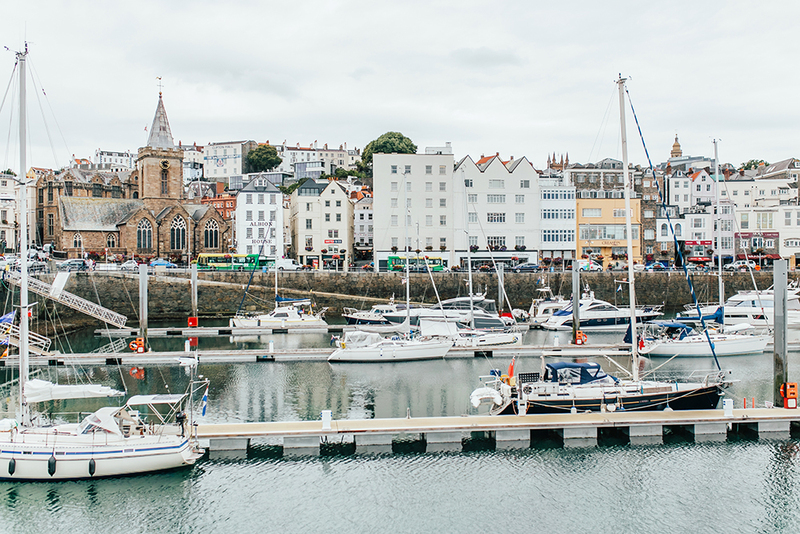 GUERNSEY: Ohh this precious little island! 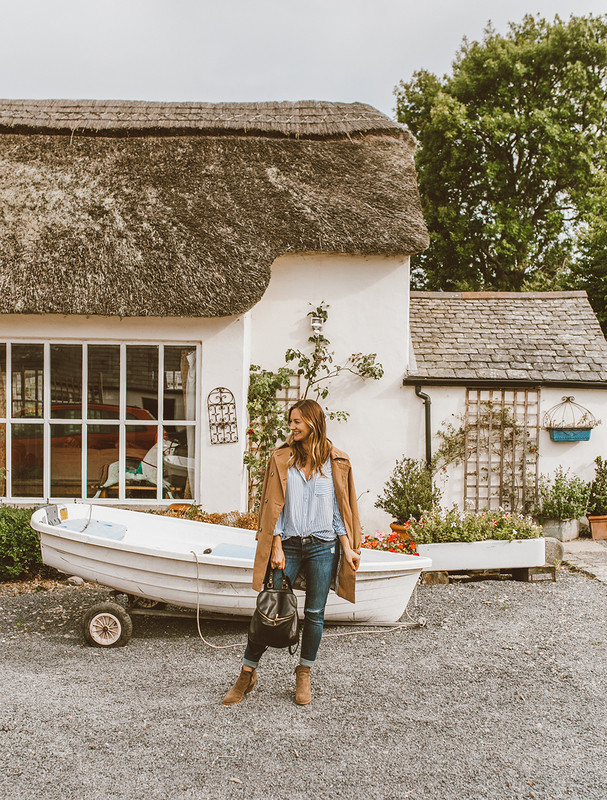 Blake and I traveled to quite a few of the same stops on a trip through the UK with his family last year, so it was really fun to revisit a few of our favorite cafes and stores when we were back in Guernsey. Also…can we take a second to ogle over the flowers lining the cobblestone streets?! DARLING! It was raining for most of the our time here, so we hid in a cafe and sipped cappuccinos, shopped around the local boutiques for souvenirs and gifts, then finally stopped into a super yummy thai restaurant for lunch… a day very well spent! 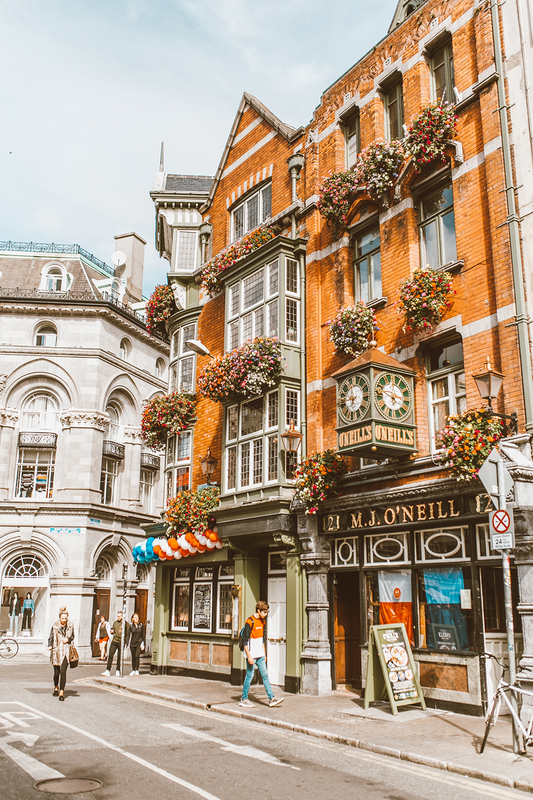 CORK, IRELAND: One of my FAVORITE stops on the cruise is Cork – which is a fairly small city in Ireland (in comparison to Dublin), but it’s got a ton of charm and is home to the Blarney Castle. Given that Blake’s heritage is Irish, it was really special to walk these grounds and learn more about the history of this 15th century castle. (And yes, Blake kissed the Blarney Stone – it’s tradition!). 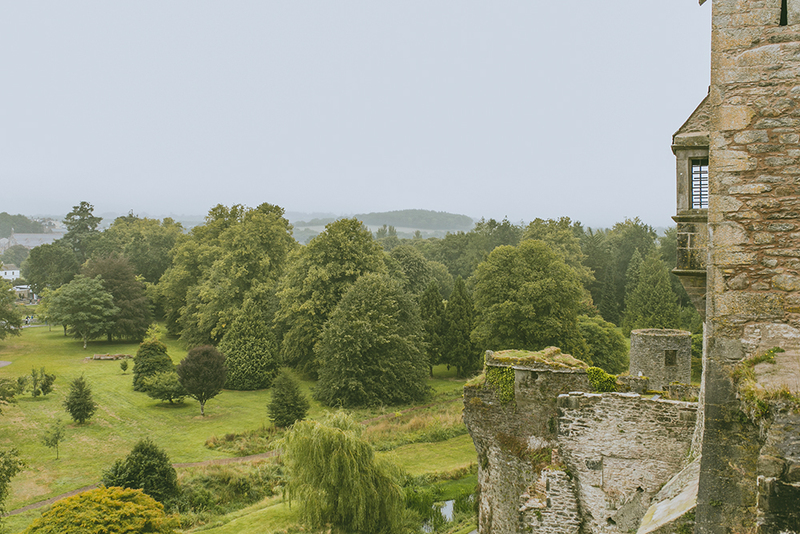 There is nothing quite like the shades of green visible in the Irish hill country…so vast and vibrant, truly breathtaking, especially from atop the castle. 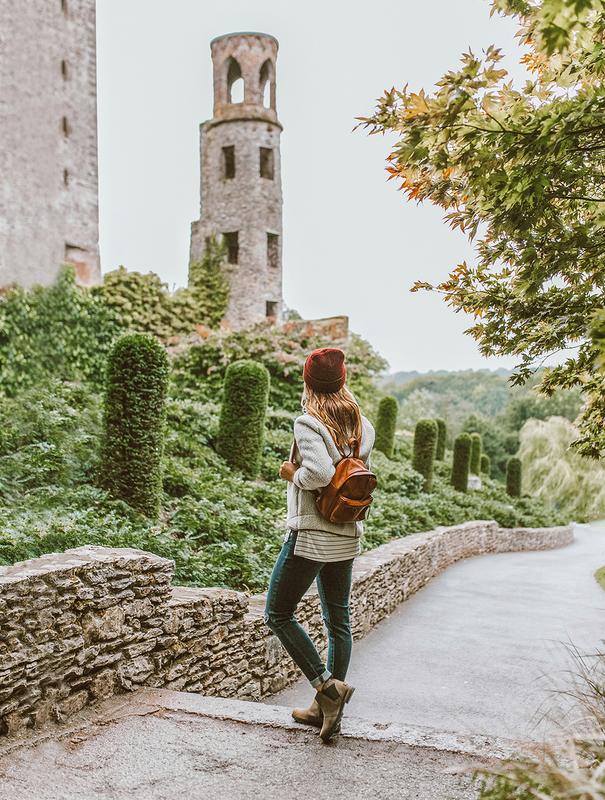 If you get the chance to visit Ireland, a day trip to the Blarney Castle is 100% a must! Stop in for homemade scones and an irish coffee at the cafes within walking distance from the castle…best day ever! DUBLIN, IRELAND: Blake and I visited Dublin last year and so this time around we had a few spots on our list…and although you might guess, each one involved eating and drinking, ha! 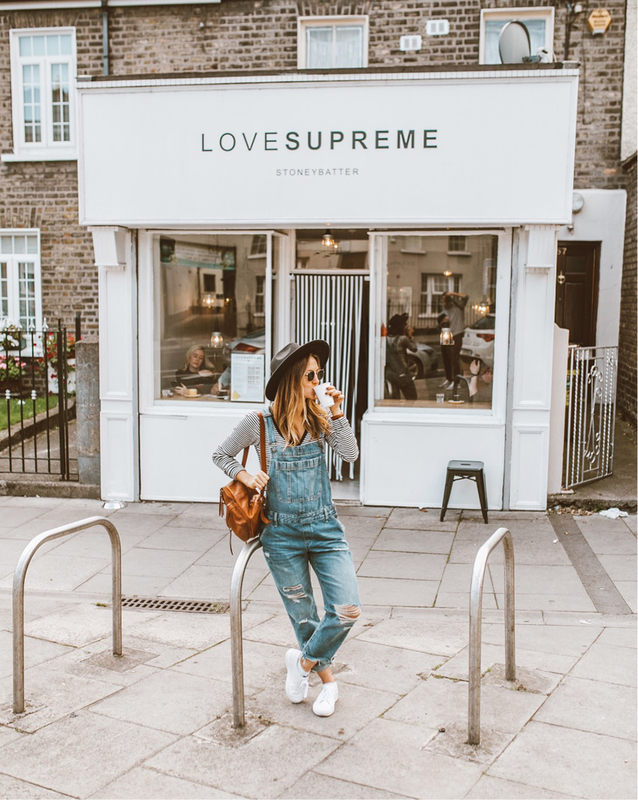 We walked around the city centre area for a bit, stopped into a scone shop (Keoghs Cafe – known for their scones) for coffee and pastries, then decided to take a leisurely two mile stroll to a coffeehouse I’d read rave reviews about…Love Supreme. The walk was really lovely and it was cool to see a lot more of the city outside the hustle and bustle of central Dublin. Lots of neighborhoods, schools, local restaurants and shops lining the streets…different vibes we may have missed had we hopped in a taxi, etc. After a nice coffee date, we met up with our friends (randomly in Dublin at the exact same time!) at the Guinness Brewery – my FAVORITE thing to do in Dublin…it’s honestly just such a happy, touristy activity…but man, everyone is so carefree with smiles from ear to ear as they sample the yummy beers. 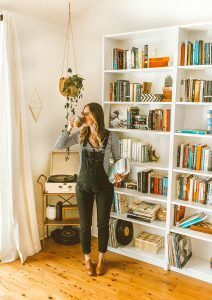 And while I may have only had a few sips this time around, the overall ambiance is equally wonderful to experience – preggo or non-preggo, ha! Dublin is a great city, one of my favorites on this cruise! BELFAST, NORTHERN IRELAND: I think this stop turned out to be the best surprise of them all…we had no idea what to expect with Belfast, so we booked an excursion called “Traditional Irish Bread Making.” The excursion actually took place about 45 minutes outside of Belfast and into the countryside (stunning, gorgeous rolling hills for miles! ), and our tour guide was super awesome and had our driver take us around the city of Belfast prior to venturing out into the farmlands. Belfast has such a fascinating history (worth looking up – it was quite shocking! ), so driving around a few sights (namely the Belfast Peace Walls) and learning about the history was such an incredible bonus to the excursion. 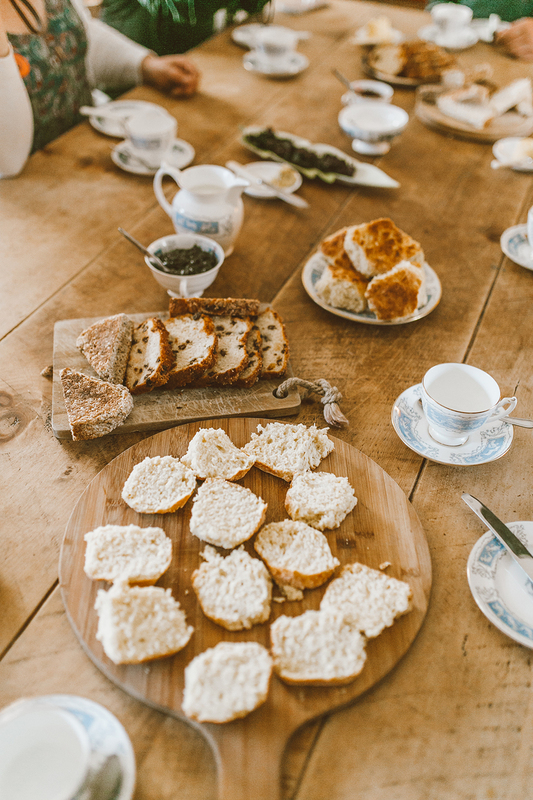 Finally, we made it to THE most precious cottage home in the middle of lush farmland, where we were taught in an intimate setting how to make traditional Irish soda bread (recipe post coming soon!). 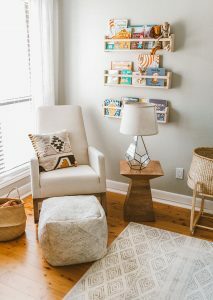 We sampled a ton of homemade breads and jams, sipped hot tea and coffee and got to chat with the home owners and chef one-on-one. 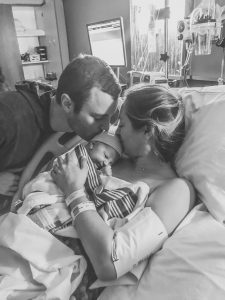 It truly was the most special day…can’t recommend this one enough!! 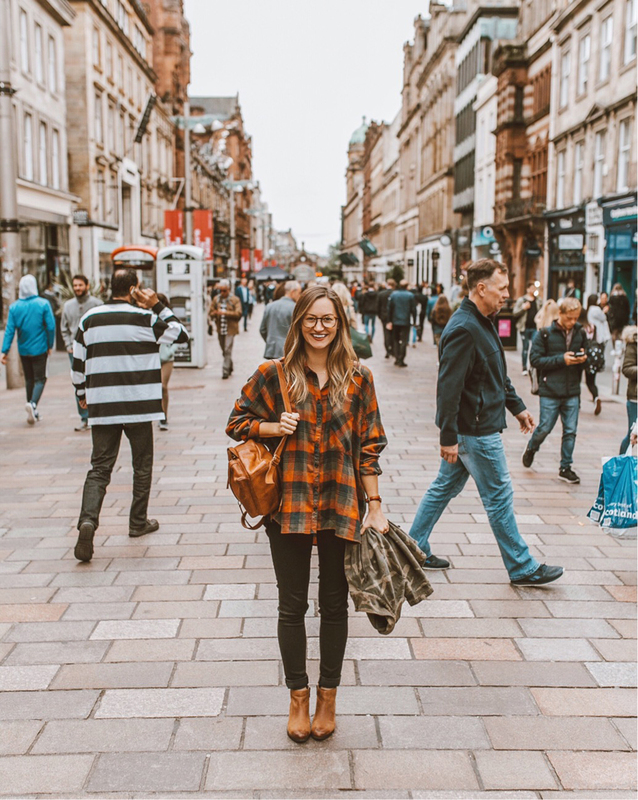 GLASGOW, SCOTLAND: Given just a few hours to spend in Glasgow and with temperatures dropping rapidly by the minute…we spent the vast majority of our time here hopping from store to store in search of extra layers. Luckily, the shopping center the transfer bus dropped us by is in the heart of the city, so while there are hundreds of shops in sight, if you simply look up, you’re surrounded by Victorian architecture as far as the eye can see. Scotland has such a rich culture and people are always SO friendly…as friendly as people in Japan, which is saying something! We stopped into Laboratorio Espresso (on every top 10 coffeehouse list for Glasgow) to escape the cold and sip some hot coffee before making our way back to the bus. I’d love to spend more time here one day – it was a great introduction to the city! DAY AT SEA: After days of exploring, we were very ready to have a full day to lounge in our pajamas, watch movies, sip tea on our balcony and of course, hit the buffet! (Blake and I are big buffet fans…and the food is really yummy on the boat!). 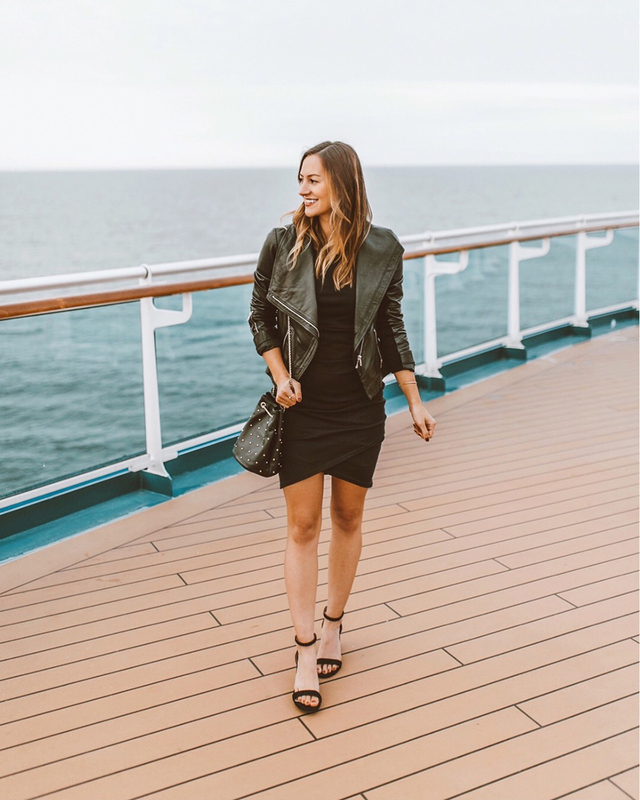 The Royal Princess ship also has a TON of incredible restaurants on board, so it’s fun to get dolled up and enjoy a romantic dinner after a day of relaxing. Crown Grill is my absolute favorite restaurant…we eat vegetarian at home, so it’s a special treat to dine at a steakhouse for me, ha! 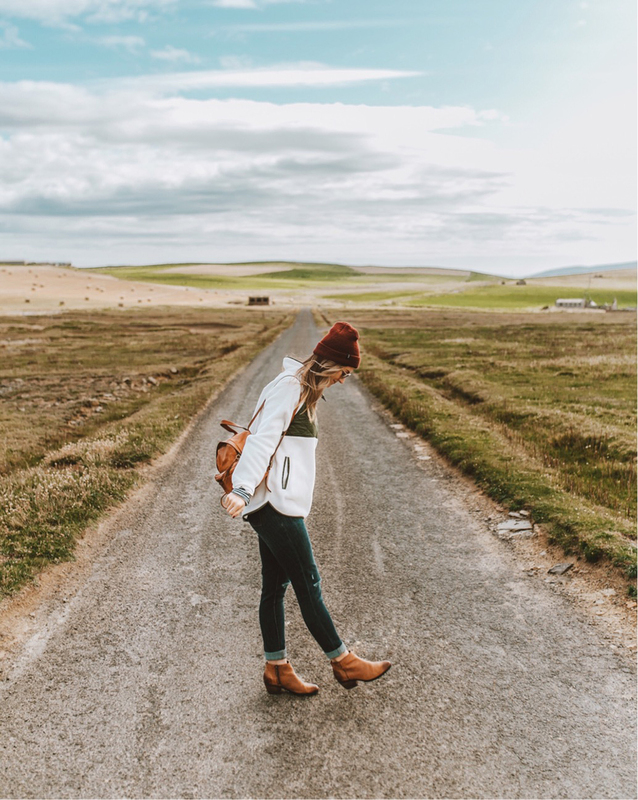 ORKNEY ISLANDS (KIRKWALL): Another pleasant surprise was our excursion through the Kirkwall countryside in Northern Scotland. 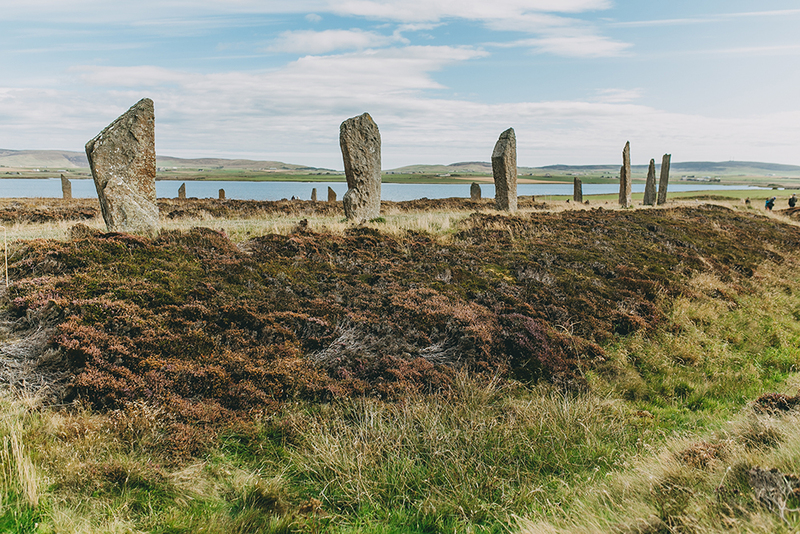 We had an early bus pickup that took us to the ancient standing stones Ring of Brodgar (older than Stonehenge and date back to 2700 bc! ), as well as a countryside tour through the Cliffs of Yesnaby…absolutely breathtaking views of the cliffs lining the Atlantic Ocean. It was a quick tour that lasted just a few hours, then it was back on the boat for more r&r! 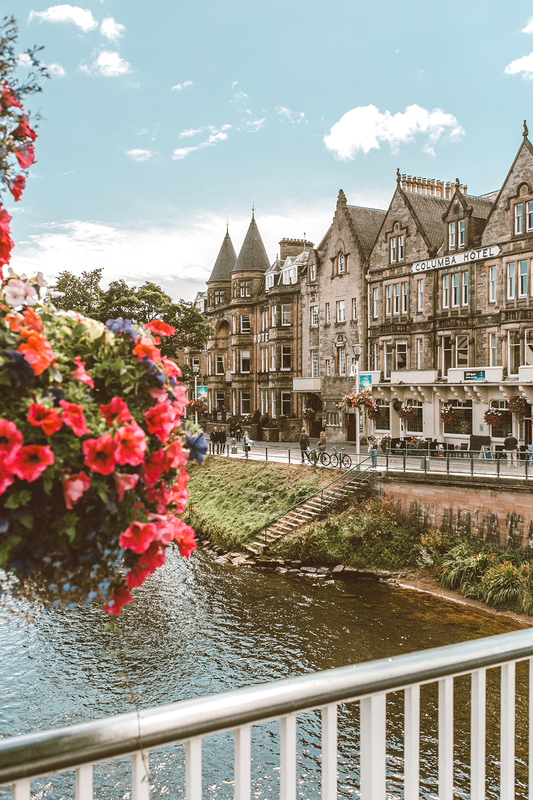 INVERNESS, SCOTLAND: Another favorite for us – Inverness is SUCH a wonderful city! We took a bus from our port into the city (about a 30 minute drive) and explored, stopped into Black Isle Brewery (Blake drank, I ate pizza…we LOVED this place, highly recommend! ), grabbed flat whites at Milk Bar Coffeehouse (the owner made our drinks and chatted with us the entire time…couldn’t have enjoyed this place more!) and did a little shopping at Eastgate Shopping Center (basically, a really awesome mall with lots of brands we don’t have in the US). 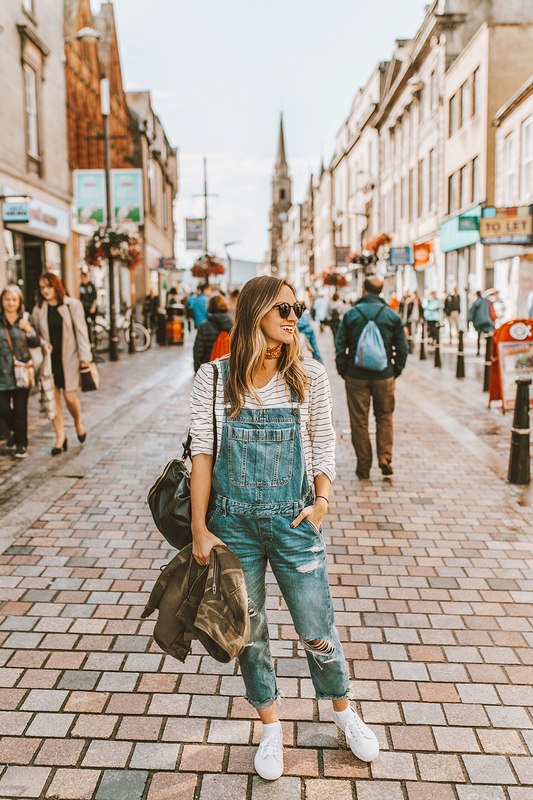 Whenever we travel, our main goal is to really just get a sense of the culture, even if we have a just a day to spend in a new city…and we definitely felt the good vibe of the city during our time in Inverness! EDINBURGH, SCOTLAND: If there’s one city you need to visit in your lifetime, it’s Edinburgh! Shoutout to the Harry Potter fans out there because this city is like walking into a Harry Potter film…medieval architecture and hidden alleyways at every turn…I’ve never been anywhere quite like this special city. It really has SO much to offer those visiting. 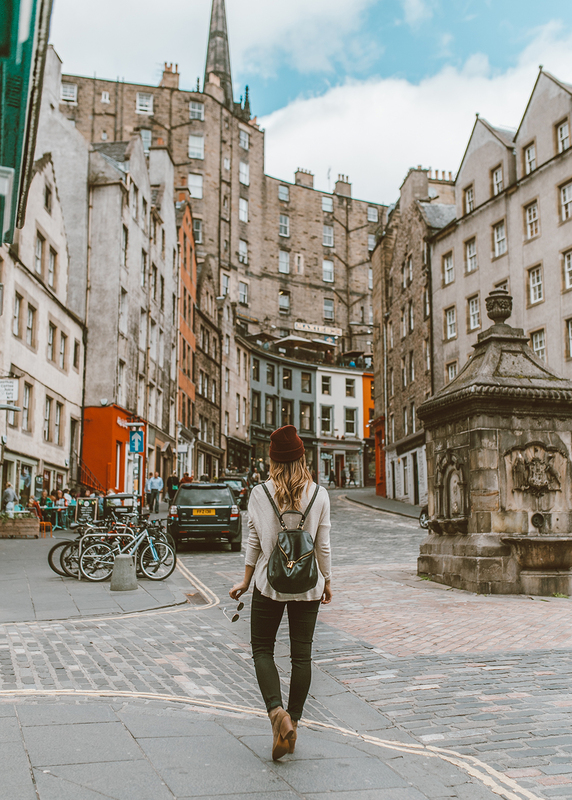 We spent our day roaming around and getting some major steps in…a restful hour in the park, exploring the Royal Mile and stopping into pubs, shops and watching street performers playing their bagpipes in kilts. A few quick recommendations (will have a full post on this city in the upcoming weeks): walk the Royal Mile and stop into The Devil’s Advocate for a cocktail + view of the city, stroll down Victoria Street for quirky shops, eats and drinks (absolutely magical photo opp – as you can see above! 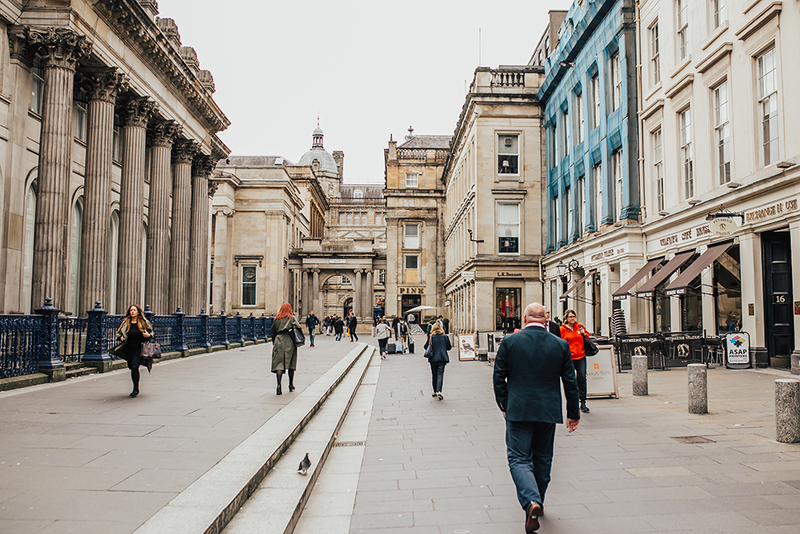 ), get your caffeine and sweets fix at Burr & Co. Coffee, rest and soak in the gorgeous surroundings from the Princess Street Gardens (also seen above). 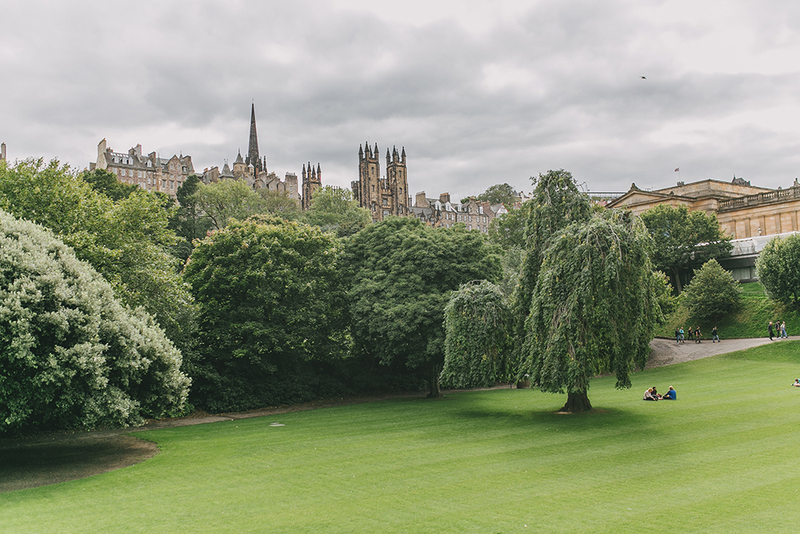 Hands down, Edinburgh was our favorite stop on this itinerary! 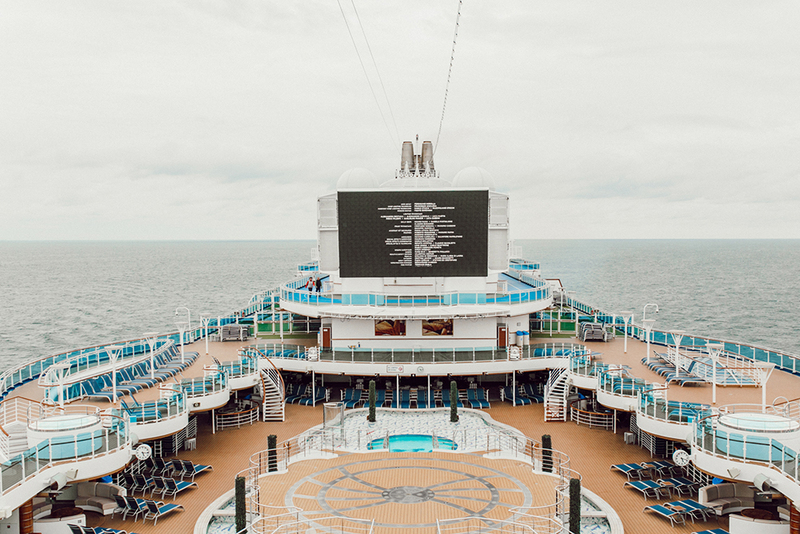 DAY AT SEA: Watch a movie on the top deck, do some laundry (#glamorous), catch up on emails or grab your book and head to the mid-floor lobby with comfy lounge chairs and a coffeehouse nearby. Days at sea are about enjoying all that the ship has to offer…like treating yourself to a couples massage and facial…yes, please! PARIS, FRANCE: Aaad the grand finale to a seriously epic itinerary…PARIS! 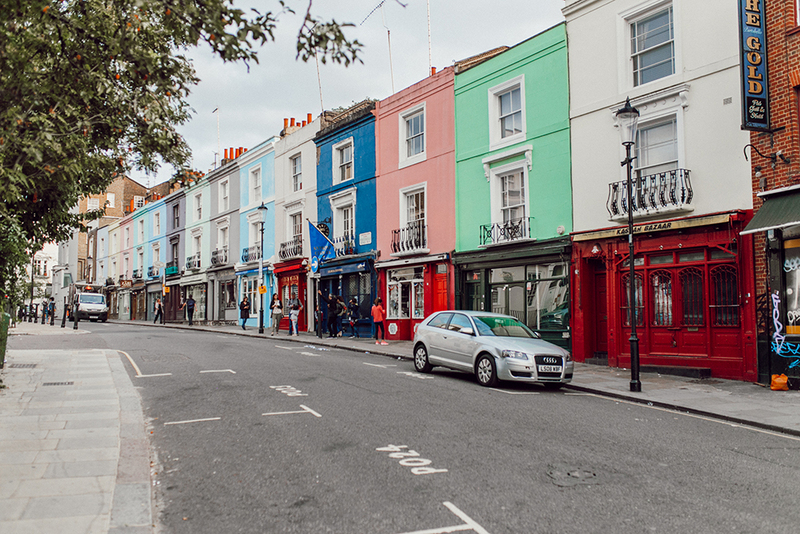 Ohh goodness, I could gush about this city forever…it really is all that it’s imagined to be…romantic and charming are just a couple of perfect words to describe it. I’ve been to Paris a few times, but never with Blake…so this day trip was particularly special. Given that this excursion is a 2.5 hour bus ride from the port into Paris, we were left with just a few hours to soak up this magical city. 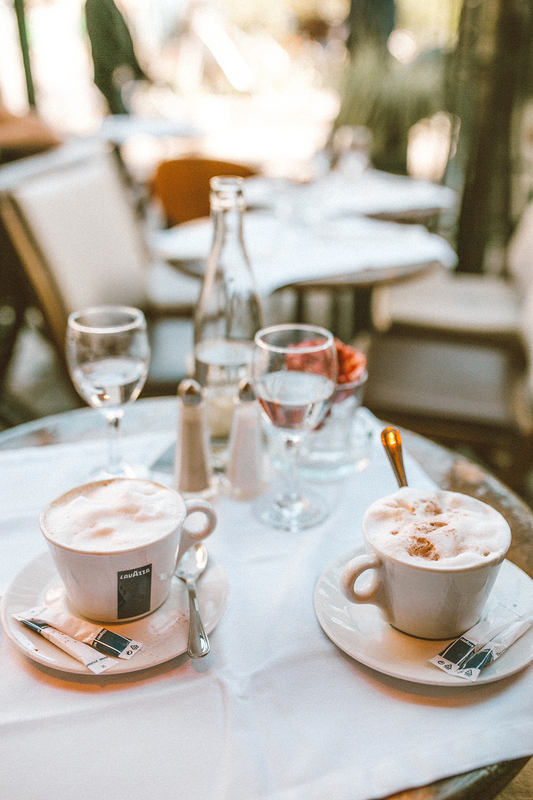 Realistically, what I’d recommend doing with just four hours in Paris, is to visit the Eiffel Tower and then split a bottle of wine and grab lunch at a nearby cafe with a great view. 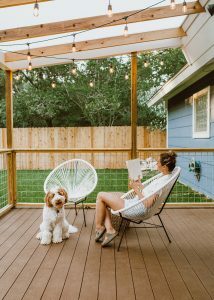 That would just about take up your time in the city, but it would be leisurely and extremely pleasant – and the bottle of vino would leave you feeling happy and ready to sleep the entire bus ride back to the ship, ha! 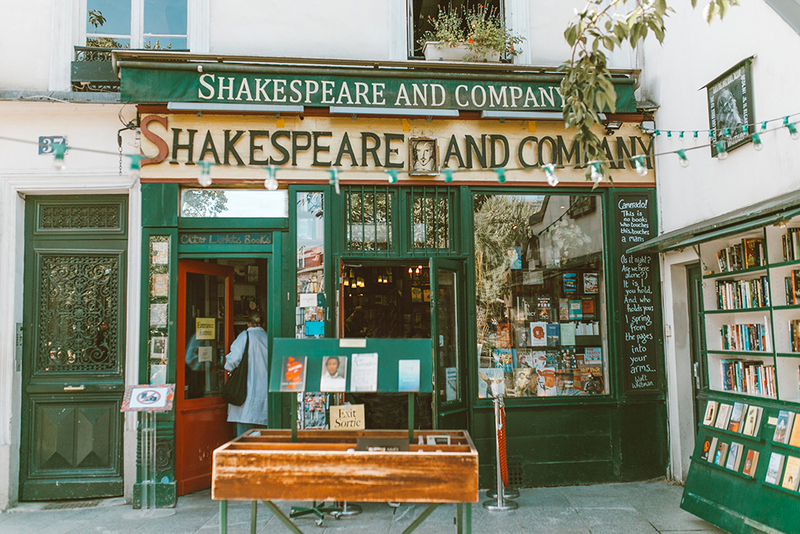 What we actually did was hustle our little booties off to maximize our time here: we took an Uber to the Notre Dame, walked across the street to a cafe next to the Shakespeare and Company – then stopped into the book shop for some baby books (ah, loved this so much! ), walked along the Seine River to the Eiffel Tower (it’s a trek but it sure is lovely), grabbed an uber that took us to the Louvre area and had one final cappuccino and beer at a cute sidewalk cafe before hitting the road! Ps. Get a banana + nutella crepe for the ride home, you won’t be disappointed. If you have questions about our trip, please leave a comment below!! 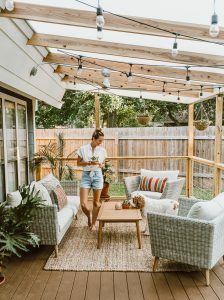 I had so much fun chatting with y’all via Instagram during this getaway…we loved all the recommendations we received! As always, thanks for stopping by, XO. I love all your photos! I’m leaving next Friday for a Mediterranean cruise. It’s a different trip then yours but I enjoyed seeing that you had a great time in spots that you only had a few hours in. We have to travel an hour and a half by train into Florence Italy. So I’m already worried about getting to see enough. But you looked like it’s doable for sure! 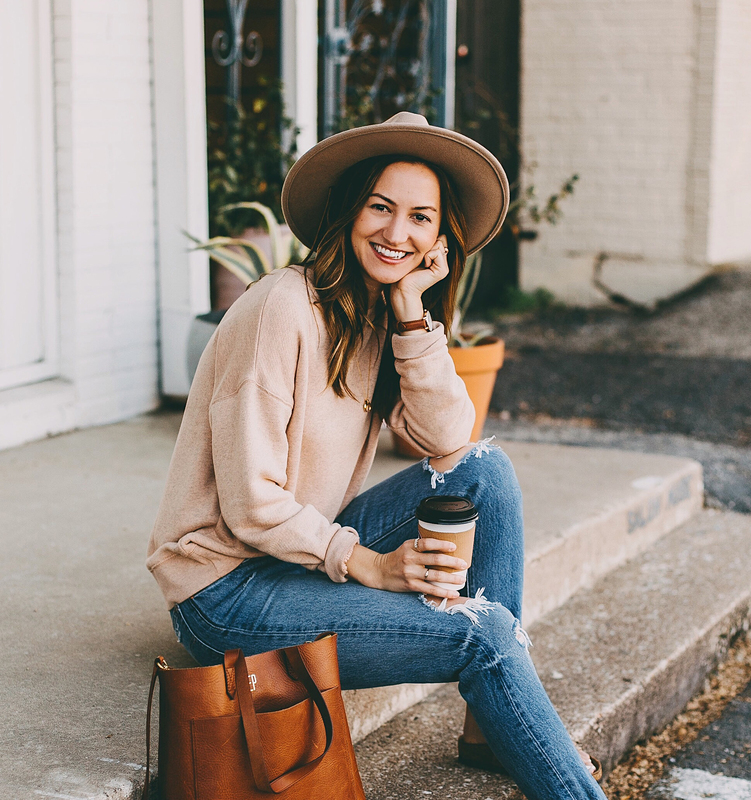 Love your style! Just adorable! And Edinburgh is my most favorite city in the world! This trip looks like it was amazing!! I’ve always been a little nervous about cruises but I think I could handle one that brings me to cities like these (versus Caribbean cruises!) They all look like such fun places to visit and after seeing all of your photos I know I need to plan a trip there! 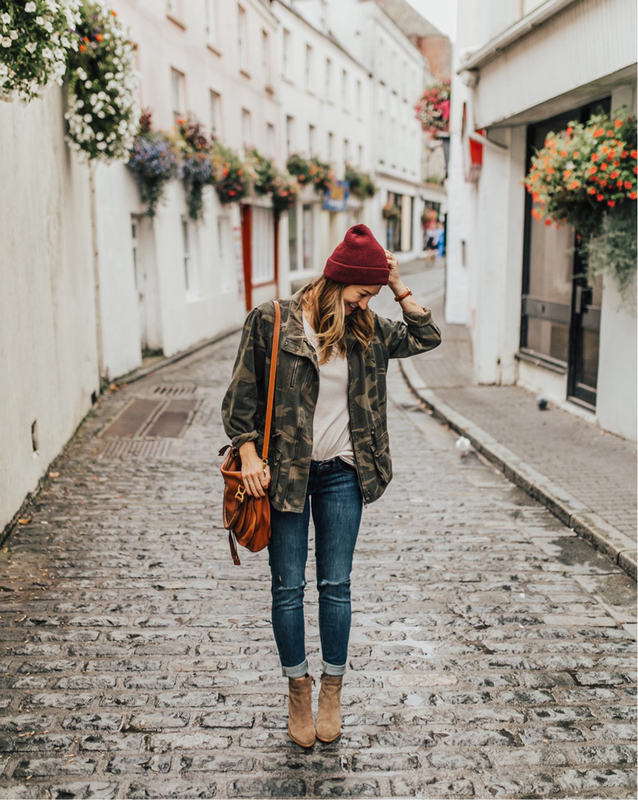 Oh and I wish I could hire you as a personal stylist / personal shopper – your style is amazing! I always use your photos as inspiration when I’m shopping! Love this itinerary! And your pictures are gorgeous (as always!). How do you edit your pictures?? Always so jealous of your travels! 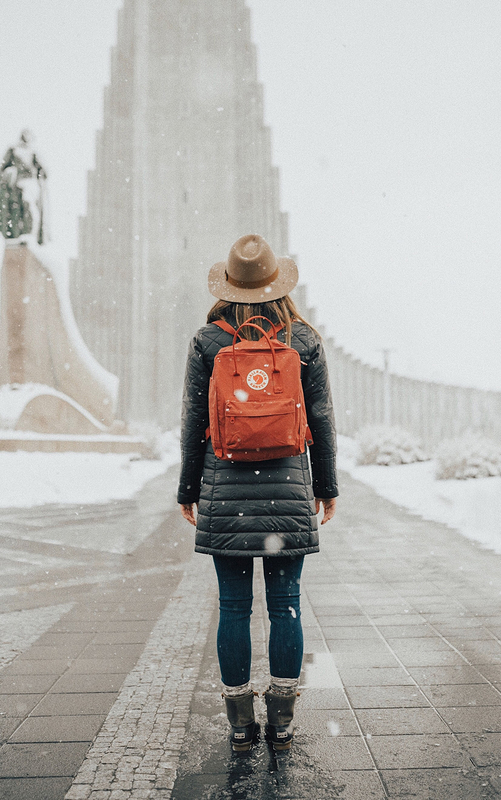 This trip looked AMAZING and I’ve definitely added like all of the locations you mentioned to my travel bucket list, haha! Also that flannel you wore in Glasgow is perfect. I’m so excited to see Edinburgh included here! I am going there in October and have put your recommendations on our list of activities! Obsessed! 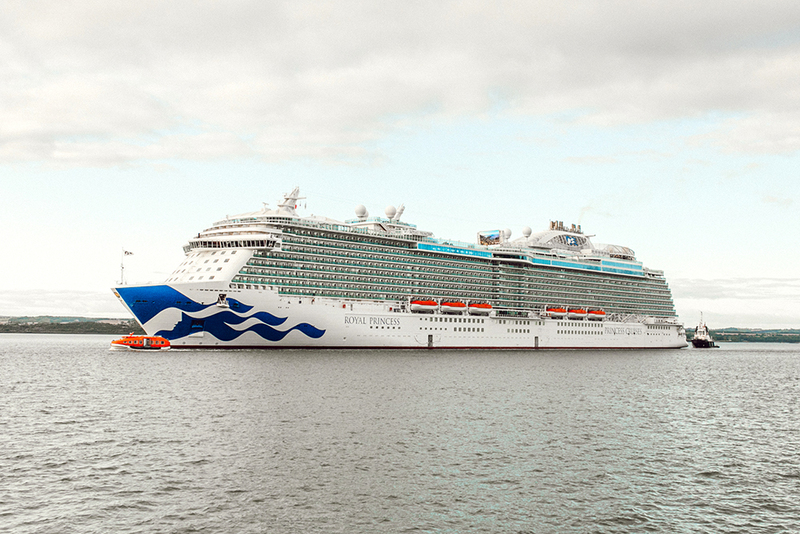 This cruise is now on our list for travel plans in the next couple of years. Every stop looked like a dream. Can’t wait! Always checking back for that Irish soda bread recipe! 😉 This trip looks unreal and has been moved to the top of our lists of next vacays to plan for! Thank you for sharing! !